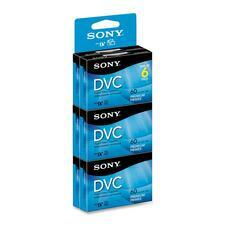 A broad line of 8mm metal tapes meet a range of consumer needs for quality and capacity. Standard Metal MP tape maintains high RF- output even after 200 repeated playbacks. Metal HG features picture quality 12% better than standard metal particle tape. 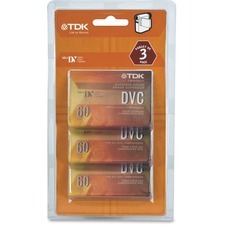 Designed for high definition recording and playback, this 6-pack of DVM60PRR/6 premium digital video cassette (DVC) tapes are ideal for capturing the moment. 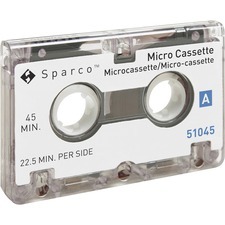 Each tape provides 60 minutes of quality recording time and features diamond-like carbon coating protective layer, which improves durability and helps prevent shedding and drop out. 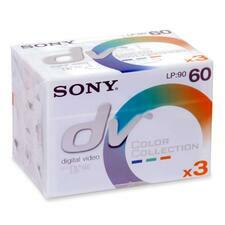 Mini Digital Video Cartridges are designed for use with mini DV camcorders. Ideal for editing and sharing your videos. 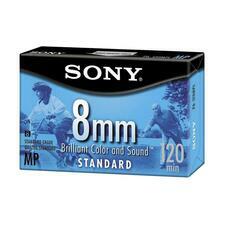 Each cartridge offers 60 minutes recording in standard mode and 90 minutes recording in long play mode. Digital picture has a resolution that exceeds 500 lines.